Describing and developing a decompression algorithm used throughout the world to prevent decompression sickness. Professor Albert A. Bühlmann (16 May 1923 – 16 March 1994) was a Swiss physician who was principally responsible for a number of important contributions to decompression science at the Laboratory of Hyperbaric Physiology at the University Hospital in Zürich, Switzerland. His impact on diving ranged from complex commercial and military diving to the occasional recreational diver. He is held in high regard for his professional ethics and attention to his research subjects. After completing his education at the University of Zürich, Bühlmann specialized in pathophysiology of the respiratory and circulatory systems. He was particularly interested in respiratory physiology at high altitudes and high pressure environments. The Bühlmann decompression algorithm is used to create decompression tables. In 1959, Hannes Keller became interested in deep diving and developed tables for mixed-gas decompression. Not a diver himself, Bühlmann was intrigued by project and suggested suitable breathing gases. Keller successfully tested his idea in the Lake Zurich where he reached a depth of 400 feet and then lake Maggiore where he reached a depth of 728 feet. Building off the previous work of John Scott Haldane and Robert Workman, and working off funding from Shell Oil Company, Bühlmann designed studies to establish the longest half-times of nitrogen and helium. These studies were confirmed by the Capshell experiments in the Mediterranean sea in 1966. The naming convention he used to describe his algorithms, for example, ZH-L16, comes from Zürich (ZH), limits (L) and the number of tissue compartments or M-value sets used (16). In 1962, Keller set a new world record when he reached a depth of 1000 feet off the coast of California utilizing Bühlmann's algorithm in a study funded by the United States Navy. Two out of eight Swiss military divers suffered decompression sickness following dives 1800 meters above sea level in Lake Silvaplana. Bühlmann recognized the problems associated with altitude diving, and proposed a method which calculated maximum nitrogen loading in the tissues at a particular ambient pressure. The tables developed were adopted by the Swiss military in 1972. An expedition to Lake Titicaca at 3800 meters above sea level in 1987 revealed no decompression issues while utilizing Bühlmann's ZH-L16 algorithm. In addition to altitude diving, his calculations also include considerations for repetitive dive profiles. The results of Bühlmann's research that began in 1959, was published in a 1983 German book entitled Decompression-Decompression Sickness. An English version of this book became available in 1984. The book was regarded as the most complete public reference on decompression calculations and was used soon after in dive computer algorithms. Two follow-up books were published in 1992 and 1995. In 1987 the SAA Bühlmann System was developed. This system used the dive tables and a set of rules so that people could dive safely and stay below their no-decompression limit. The tables are still used today and are very popular, many dive computers still use the ZHL-8 algorithm and many tables are based on the ZHL-16 algorithm. Bühlmann died unexpectedly of heart failure on 16 March 1994. The Undersea and Hyperbaric Medical Society gave Bühlmann the Oceaneering award in 1977. In 1993, the Divers Alert Network presented Bühlmann with an award for his life’s work in the service of decompression science. 1 2 3 4 5 6 7 8 9 10 11 12 13 14 Völlm, Ernst B.; Götte, Georg (1994). "Leading diving researcher dies unexpectedly: Albert A Bühlmann, 1923 - 1994". Pressure, newsletter of the Undersea and Hyperbaric Medical Society. 23 (3): 1–3. ISSN 0889-0242. 1 2 Wendling, J; Nussberger, P; Schenk, B (1999). "Milestones of the deep diving research laboratory Zurich". South Pacific Underwater Medicine Society Journal. 29 (2). ISSN 0813-1988. OCLC 16986801. Retrieved 2009-06-12. ↑ Schreiner, Heinz (1994). "Prof. Albert A Bühlmann: Maker of diving history". Pressure, newsletter of the Undersea and Hyperbaric Medical Society. 23 (3): 3. ISSN 0889-0242. ↑ Bühlmann, Albert A. (1973). "Ethical considerations in hyperbaric research--situation in Switzerland". Försvarsmedicin. 9 (3): 367–8. PMID 11661279. 1 2 3 4 Bühlmann, AA (1984). Decompression-Decompression Sickness. Berlin New York: Springer-Verlag. ISBN 0-387-13308-9. ↑ Powell, Mark (2008-10-18). Deco for Divers: Decompression Theory and Physiology. AquaPress. ISBN 1-905492-07-3. ↑ hanneskeller.com. "Hannes Keller Biography". hanneskeller.com. Retrieved 2009-06-12. 1 2 Swann, C (2007). "Hannes Keller and His Secret Mixtures" (PDF). The History of Oil Field Diving. Oceanaut Press. Chapter 8: 105–113. Retrieved 2009-06-12. ↑ Boycott, A. E.; G. C. C. Damant; J. S. Haldane. (1908). "The Prevention of Compressed-air Illness". J. Hygiene. 8 (3): 342–443. doi:10.1017/S0022172400003399. PMC 2167126 . PMID 20474365. Retrieved 2009-06-12. ↑ Workman, Robert D. (1957). "Calculation of air saturation decompression tables". Navy Experimental Diving Unit Technical Report. NEDU-RR-11-57. Retrieved 2009-06-12. ↑ Bühlmann Albert A; Frei P; Keller Hannes (October 1967). "Saturation and desaturation with N2 and He at 4 atm". Journal of Applied Physiology. 23 (4): 458–62. PMID 6053671. Retrieved 2009-06-13. ↑ Bühlmann Albert A (1989). "[Decompression problems in diving in mountain lakes]". 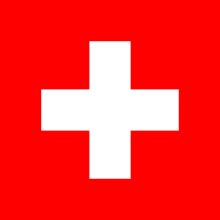 Schweiz Z Sportmed (in French). 37 (2): 80–3; discussion 99–102. PMID 2799365. ↑ Bühlmann Albert A (1984). "[Decompression during lowered air pressure]". Schweiz Med Wochenschr (in German). 114 (26): 942–7. PMID 6087447. ↑ Bühlmann Albert A, Schibli R, Gehring H (March 1973). "[Experimental studies on decompression following diving in mountain lakes at reduced air pressure]". Schweiz Med Wochenschr (in German). 103 (10): 378–83. PMID 4144210. ↑ Böni M.; Schibli R.; Nussberger P.; Bühlmann Albert A. (1976). "Diving at diminished atmospheric pressure: air decompression tables for different altitudes". Undersea Biomed Res. 3 (3): 189–204. ISSN 0093-5387. OCLC 2068005. PMID 969023. Retrieved 2009-06-12. ↑ Bühlmann, AA (1987). "Decompression after repeated dives". Undersea Biomedical Research. 14 (1): 59–66. ISSN 0093-5387. OCLC 2068005. PMID 3810993. Retrieved 2009-06-12. 1 2 Powell, Mark. "Decompression Theory: Robert Workman and Prof A Bühlmann". Dive-Tech. Archived from the original on 10 June 2009. Retrieved 2009-06-12. ↑ Bühlmann, AA (1992). Tauchmedizin: Barotrauma Gasembolie Dekompression Dekompressionskrankheit (in German). Berlin: Springer-Verlag. ISBN 3-540-55581-1. ↑ Bühlmann, AA (1995). Tauchmedizin (in German). Berlin: Springer-Verlag. ISBN 3-540-55581-1.